Leader of Jumhooree Party Gasim Ibrahim has declared that attempts to create rifts between himself and President Ibrahim Mohamed Solih will not be successful. The leader of the ruling coalition partner made his statement at a function held to award parliamentary election tickets, after heavily criticizing leader of main-ruling Maldivian Democratic Party (MDP) former president Mohamed Nasheed and his ideologies. While addressing at the ceremony, Gasim said Jumhoore Party will remain loyal to President Ibrahim Mohamed Solih so long as his government abides by the Maldivian constitution and protects the rights of the citizens. In his address, Gasim urged the citizens not to allow any one party to attain super majority of the parliament as the country has recently witnessed the ill-effects of one party controlling the parliament, referring to former president Abdulla Yameen Abdul Gayyom's tenure. "There is absolutely no benefit - just recently we have witnessed the ill-effects of allowing a single party to attain parliament majority. If we allow a single party to attain super majority of the parliament, there is no way we can hold the government accountable and responsible for anything, we can no longer question the government", said Gasim. Independent institutions and the judiciary will be under the control of the majority party, as they will possess the power to declare the leaders of these institutions and courts as unfit for their positions, also said Gasim. Gasim further shed light on reports that MDP is seeking to bring about a parliamentary governance system to the Maldives, and declared that Jumhooree Party would always support a presidential system of governance. The country has also previously witnessed the turbulence that occur in a country when a Prime Miister is elected, said Gasim. Also the current Speaker of the parliament, Gasim further said there is no question regarding the preferred governance system in the Maldives, as there is no benefit from switching to a parliamentary system from a presidential system. A presidential system ensures that the elected president is the choice of the majority of citizens whereas in a parliamentary system, the Prime Minister who is in charge of running the country does not necessarily have to be one who is proffered by majority citizens. "Who will accept a parliamentary system? All ministers and even the Prime Minister will operate as members of the parliament. There will only be a handful of people to question their authority. What choice will we have then, when we are back at square one? This is not a sensible system of governance [for Maldives]", said Gasim. Nasheed and Gasim have always remained at loggerheads over different issues. 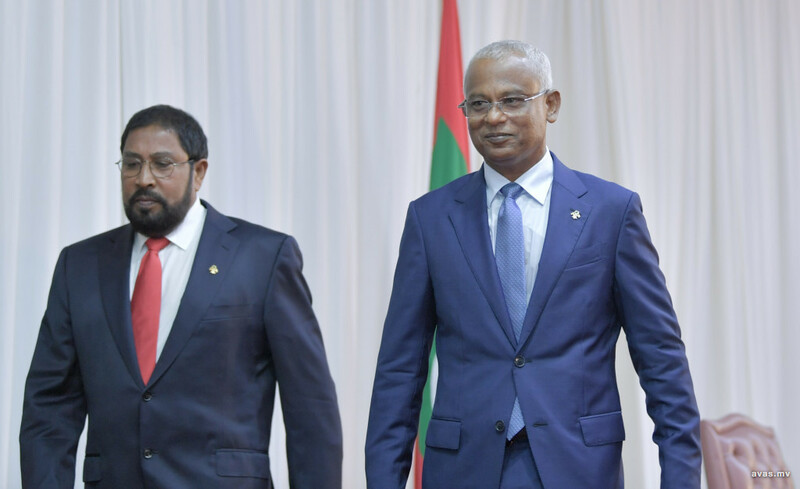 Most recently, there was dispute between Jumhooree Party and MDP over the allocation of parliamentary seats for April's parliamentary polls, which was initially agreed to be contested together by all coalition partners. However, MDP has since declared that they will be contesting for all seats against what was agreed, with Nasheed claiming that President Solih would not back any candidates who are not from MDP.